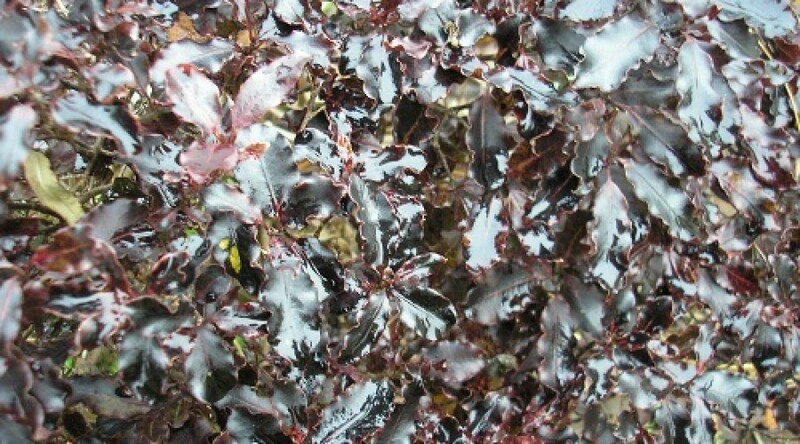 A low bushy shrub with bronze-purple flushed leaves. Bell-shaped, black-red flowers. Height 1m. Spread 60cm. Flower colour Black, Red. Flowers from May to June. Evergreen. Foliage colour Bronze, Purple.